Australians clearly have a lot to celebrate - we're buying more bubbly than ever. Champagne sales have surged by nearly a quarter, cementing Australia's place as the sixth largest importer in the world, just behind Belgium. 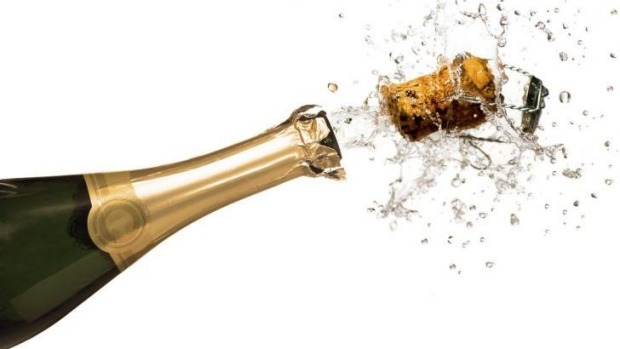 The UK took out the top spot, followed by the US, Germany and Japan, according to figures from Champagne Bureau, which represents the Comité Champagne organisation in Australia. In 2015, we imported 8.1 million bottles of champagne – an increase of 24.31 per cent on the previous year's figure of 6.5 million bottles. "That sounds like a lot, but it's not surprising," says Amanda Yallop, head sommelier at Sydney's three-hatted Quay restaurant. "There's a huge collection of people who are into champagne." The stereotype of bubbly only being ordered by affluent businessmen and "ladies who lunch" has been overhauled – Yallop says attitudes have changed and champagne is no longer seen as something reserved for the upper echelon of society. "And that comes across in champagne sales," she says. Young men will come into the restaurant and order champers instead of beer; consumers graduate from local sparkling wines to artisan grower champagnes as an affordable alternative to grand marques – and people aren't so strict about rationing the beverage as a special one-off. "People will drink champagne with a meal, in advance of a meal, after a meal; they'll have a bottle of champagne to share with the table," says Yallop. "It doesn't need to be a birthday or anniversary, now it's 'we're getting together with friends, let's enjoy ourselves'." Wine writer Mike Bennie, who helped curate the drinks list for Noma Australia, notes champagne has also become significantly more budget-friendly. "When I started in the industry 15 years ago, champagne prices were equal if not higher for most big-name champagnes," he says. Bennie thinks that the rise of secondary market champagne – and major importers addressing this by offering more competitive pricing – combined with supermarkets selling bottles directly has helped make champagne more accessible than it's previously been. After all, Aldi sells bubbly for $25. So it's no surprise that sales have surged in Australia. Despite the price drops, the image of sparkling wine is still aspirational – which doesn't hurt its allure. "People enjoy the peripheral lifestyle that champagne suggests," he says. Local demand isn't just for the cheapest wine – Bennie says there's been a "head-spinning" boom in artisanal grower champagne. And Yallop thinks the strong demand for champagne can be partly attributed to this: "the quality of champagne that is available to Australians right now is the best that it's ever been."